Order Project CRISS support products by submitting this order form by fax or email, or give us a call. We're sorry but we no longer carry CRISS Cornerstones or CRISS for Administrators. CRISS for Teachers flipbooks, posters, cds, etc. This full-color flipbook provides an overview of the core principles and philosophy underlying the CRISS Framework for Learning, explanations and examples of 19 high-impact strategies, and extensions appropriate across all grade levels and content areas. Whether or not teachers have attended an Introduction to Project CRISS workshop, this quick reference guide is an excellent resource for planning instruction that incorporates modeling, think alouds, and a gradual release of responsibility for student self-directed learning. 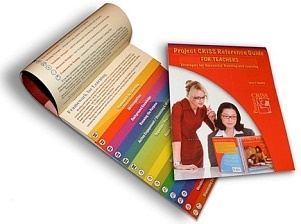 Click here for a preview of the Project CRISS Reference Guide for Teachers . These 19”x25” student-friendly color posters highlight strategy processes and the CRISS Principles and Philosophy. Six topics (each contains six posters): Basics, Discussion, Organizing for Learning, Strategies for Learning, Vocabulary, and Writing. Available as a full package of 36 or in individual topic sets. 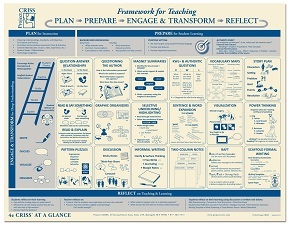 This 17”x22” poster displays the CRISS Framework for Teaching, instructional reminders, prompts for planning and teaching, and high-impact strategy ideas “at a glance”. A great planning tool for teaching and learning, this resource is appropriate for teachers of all grade levels and content areas. Ready to laminate. Sold individually and in sets of 30. Whole-staff discounts available. 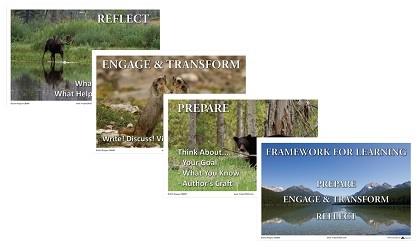 Highlighting the beauty and wonder of America’s Jewel of the Continent, this set of four, 11”x17” CRISS Framework for Learning posters includes gorgeous images of Glacier National Park scenery and wildlife photographed by Hike734 video blogger, Jake Bramante. The images act as visual analogies to help students remember. Appropriate for all ages! Comes with 2-page guide. 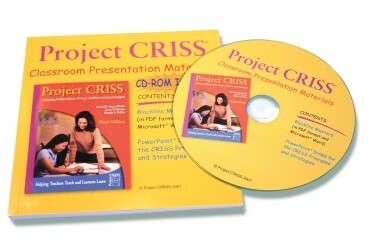 This CD-Rom includes PowerPoint slides and blackline masters for many of the CRISS principles and strategies. Use these premade materials to teach students the specific steps for strategies. Blackline masters are available as editable MS Word and pdf documents. This full-color flipbook includes an overview of the CRISS Principles and Philosophy and explanations and examples of over 16 of the most popular strategies. This is a great resource to get parents involved in supporting their students at home. Available in English and Spanish. Project CRISS offers a Project CRISS for Parents workshop. 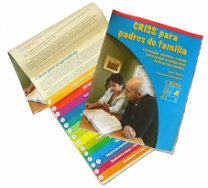 During the workshop, parents are introduced to the CRISS principles and some of the learning strategies and receive the flipbook. Contact the CRISS National Office for more information. The flipbook may be purchased without attending a workshop. 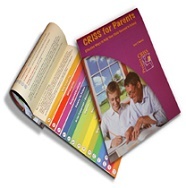 Click here for a preview of CRISS for Parents. 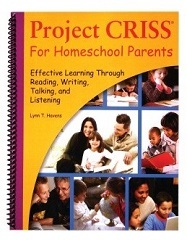 Click here for a preview of CRISS for Homeschool Parents.